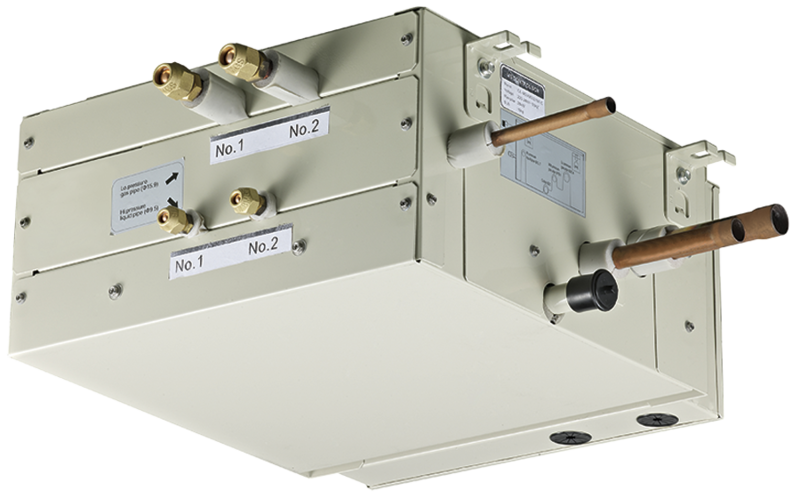 Zoning Flexibility—Combine up to 5 zones with similar load profiles on a single port (up to 54,000 btu/h per port), with up to 10 indoor units and 144,000 btu/h per MS Box. Twin Ports —Twin ports together for indoor units above 54,000 btu/h. Versatile Design — MS Boxes can be piped from either side, allowing maximum design flexibility even in buildings with limited spacing.